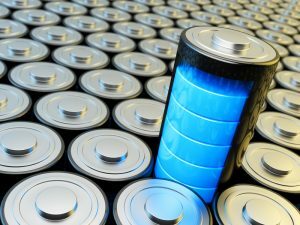 What are energy storage projects under federal law? Are they eligible for certain favorable long-term contracts with utilities? Or are they subject to less attractive rules and regulations that apply to solar energy? That’s the question that Franklin Energy, which develops distributed energy resources, is asking in Idaho, where it has proposed four energy storage facilities, each 25 MW. In doing so, Franklin Energy is raising fundamental questions about how energy storage, a relative newcomer on the energy scene, fits in with a 40-year-old law known as the Public Utility Regulatory Policies Act, or PURPA. PURPA requires electric utilities to buy power from other producers, if the cost is less than or equal to the utility’s avoided cost rate to the consumer. Right now, most energy storage projects are developed by utilities, businesses and for pilot projects. However, as prices for energy storage drop, more and more energy companies like Franklin Energy are expected to propose projects and seek contracts with utilities. That’s most likely to happen in areas where energy storage is less expensive than the utility’s avoided costs, or the marginal costs of producing power. Now before the Federal Energy Regulatory Commission (FERC), the issue involves four energy storage facilities, each owned by a different entity. They meet the standards for being qualifying facilities (QF) that, under PURPA, are eligible to seek contracts with utilities. The question is: Should they receive Idaho Power’s more attractive long-term contracts and rates? The precedent-setting case raises interesting questions about the definition of energy storage projects as qualifying facilities, said Richardson. “This is the only PURPA battery storage project in the country that I could find,” he said. All the other battery projects he could identify are utility-owned, developed for companies’ own use, or pilot projects. Franklin Energy knew it was taking a risk when it proposed the projects as qualifying facilities and waded into unknown territory, he said. “We’re making this a shotgun wedding under PURPA. We knew what we were getting into,” Richardson said. Franklin Energy wants 20-year contracts with Idaho Power, but the Idaho Public Utilities Commission (PUC) has said Franklin’s projects qualify as solar projects under PURPA, for which only two-year contracts with utilities are available in Idaho. Utilities set rates for facilities that qualify under PURPA, and their rates must be approved by the PUC. “After the Idaho PUC said no, we went to FERC and asked for a declaratory ruling saying the Idaho PUC’s ruling is contrary to PURPA and asked for enforcement action to force the Idaho commission to do the right thing,” Richardson said. That decision is still pending. In early 2017, Franklin Energy proposed that the company enter into 20-year contracts with Idaho Power for the storage facilities. Each of the Franklin Energy storage projects should receive contract terms and rates established by the Idaho Commission for non-wind and non-solar qualifying facilities, according to Franklin Energy’s filing with FERC. A spokesman for Idaho Power said the company agrees with the Idaho PUC. “They wanted long-term contracts with attractive rates,” he said. “There’s no dispute about whether they are qualifying facilities. However, the Idaho PUC argued that the primary energy source could be used to determine avoided costs, he added. “We said the primary energy source was solar, which is eligible for shorter-term contracts.” Those qualifying facilities contract rates and terms are set by utilities. 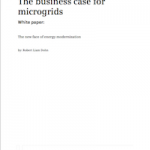 Change is afoot in the microgrid and energy storage industries. 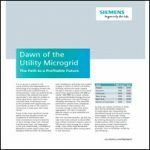 Learn more at Microgrid 2018. The facilities meet the size requirements for energy storage set by the utility, said Franklin Energy’s filing with FERC. Idaho Power denied the request for 20-year standard rate contracts and filed with the PUC a petition for the PUC to apply a 100-kW rate eligibility cap to battery storage projects, said the filing with FERC. The Idaho commission responded to Idaho Power’s request by basing the battery storage facilities’ eligibility on their energy source, instead of on the fact that they’re energy storage QFs, said the filing. The Idaho PUC only offers standard offer rates and 20-year contract terms to solar and wind qualifying facilities that have a capacity of 100 kW or less, said the Franklin Energy filing with FERC. “While limiting the availability of published rate ‘standard offer’ contacts to two years for just solar and wind qualifying facilities, the Idaho Commission specifically established standard contract rates of up to twenty-years for all other qualifying facilities,” the Franklin Energy petition notes. The spokesman for Idaho Power said that the company supports the PUC’s decision. “This protects customers from Franklin Energy’s attempt to circumvent established rules for setting contract price and terms for PURPA Energy Sales Agreements,” he said. If Franklin Energy’s request is not granted, the company’s only remaining option will be to sue the state in federal court, said Richardson. Those who intervened in the case include Idaho power, the Idaho PUC, Avista, Edison Electric Institute and the Northwest and Intermountain Power Producers Coalition, said Richardson. The American Public Power Association and the National Rural Electric Cooperative Association also intervened. Join Microgrid Knowledge on LinkedIn.